Current leading bit on the Sealskinz bundle is £40 which is a bargain considering what’s included so a total of £80 will be going to Birmingham Childrens Hospital. It really doesn’t seem all that long ago when Neteffekt was a small start-up operating out of a back bedroom and an attic where we were building websites running on borrowed hardware. We’ve come along way in a last 10 years and it’s great to be able to celebrate our achievements by giving something back. All of the team are undertaking various challenges in our aim to raise £10,000 for Birmingham Children’s Hospital, with every penny donated being matched by Neteffekt. As a keen mountain biker and co-founder I thought my challenge should be particularly tough. So travelling coast to coast through three national parks in three days clocking up more than 180 miles and 18,000ft of climbing along the way should do the trick! With just under a month to go to my challenge I’m feeling well prepared. Accommodation is all booked for the start and finish and I bet that hotel bed will feel good after three days on the bike and two nights in a tent! Did I mention that all donations are matched by Neteffekt 😉 so anything you can spare really does go a long way to help us hit our target, click donate to give me some encouragement and a reason to keep going! Over the last couple of months I have managed pack in loads of training clocking up 200 miles off road in May with 21,000ft of climbing and I’m on target to do even more in June. I’ve also completed a number of longer endurance events including the Batch Burner in Church Stretton and the famous Dyfi Enduro which contained more climbing than any day of the coast to coast ride – so that’s given me real confidence about completing the course. With another solid months riding until the start the question is how fast can I do it… Secretly I would love to do it in under 30 hours but in reality I’ll probably be hanging off the bike by Scarborough. Whilst riding the batch burner I bumped into the team from SealSkinz who have kindly offered to help the fund raising by donating some of their excellent waterproof outdoor endurance products. I’m sure the ride is going to be done in three days of glorious sunshine, with a light cooling tail wind so I’ve decided the auction off the items with the winning bid being doubled through our matched donations. The bundle consist of a sock of your choice, in your size. A pair of all weather cycle gloves, which I can vouch for as they kept my hands toasty last winter and a waterproof cycle cap. 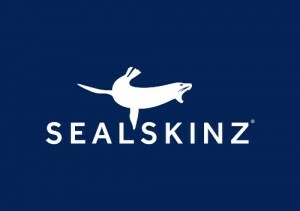 The winning bid will be announced on Monday 7th July and once the donation is made I’ll put you in touch with the team at SealSkinz to select the socks and arrange for delivery. Keep the muck out of your eyes! The team at Rock Guardz have also kindly donated two of their small carbon fibre mudguardz which work incredibly well on the toughest of trails… not to mention they look incredibly bling!